‘La Meije’ is the Cayeux version of ‘Queen’s Circle’ one of my all time favourite iris, ever since I first saw it at Schreiner’s in Oregon. Although it is sometimes described as not being terribly exciting in colouring the good habit and number of buds makes ‘Queen’s Circle’ a great iris and, for some reason, I really love the colouring. ‘La Meije’ is a little more subtle in its colouring though my photos exaggerate this a bit because, apart from the bud, above, the flowers are a couple of days old and battered by wind – the blue rim to the falls is more intense when they first open. It is named after a mountain in the French Alps and grows to 90cm. 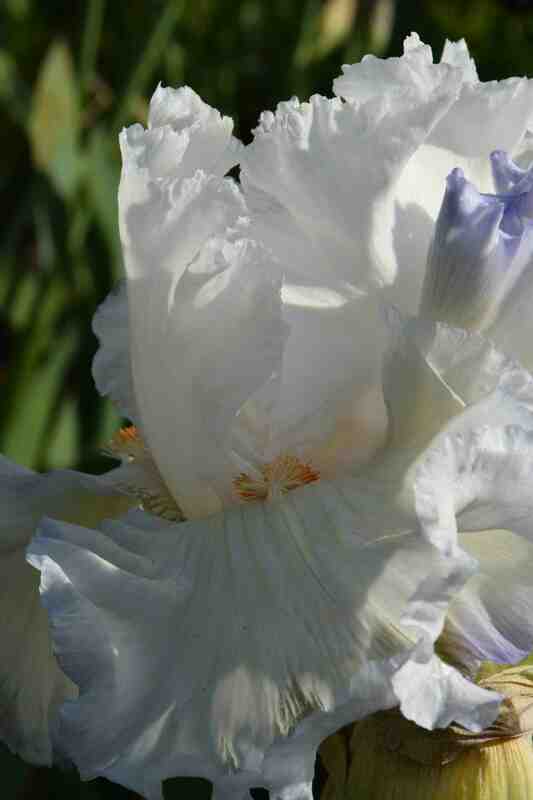 It is a robust grower and has done well in the garden. 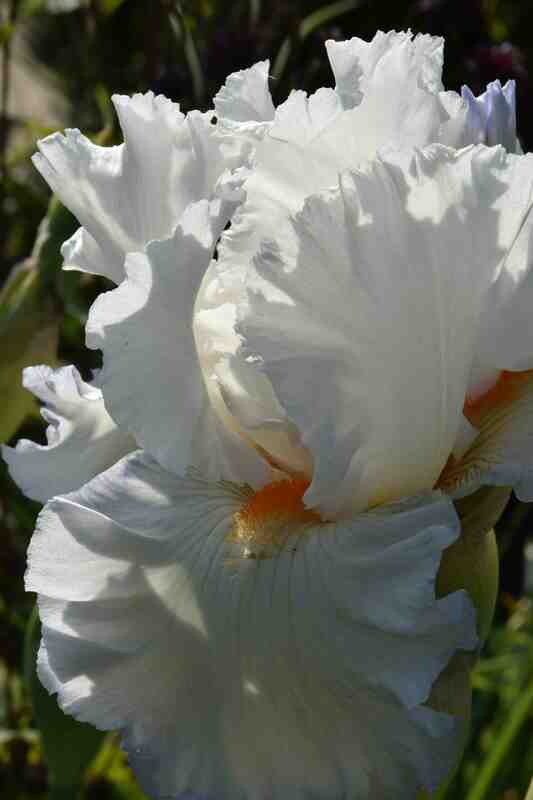 You’ve covered so many Irises, thanks so much! I have enjoyed all your Iris posts. 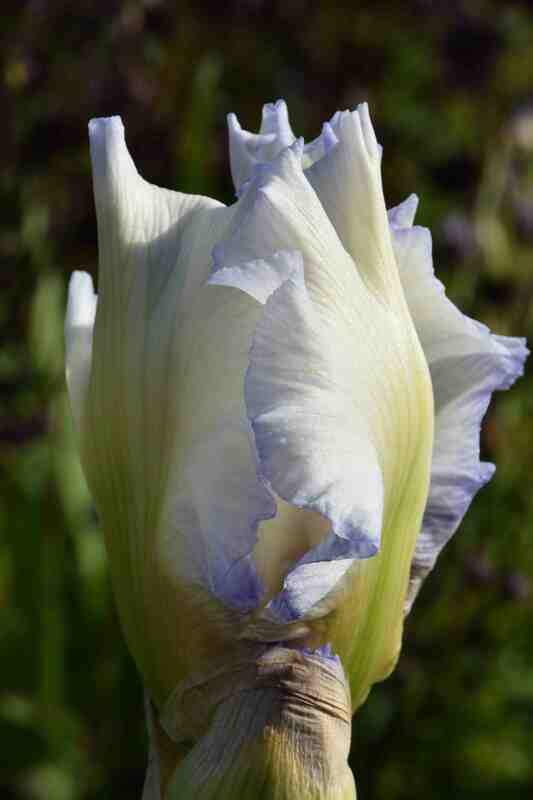 I have some Cayeux irises and some Cedric Morris, and some acquired here and there. I have forgotten all their names, but they are all gorgeous. I have some 2 year old seedlings which I am excited about. Have you tried raising your own? Yet another beauty. How many have you?